You are driving home from work one evening and your normally reliable car starts making weird noises before grinding to a halt. The breakdown vehicle tows it to the garage and you take a cab home. 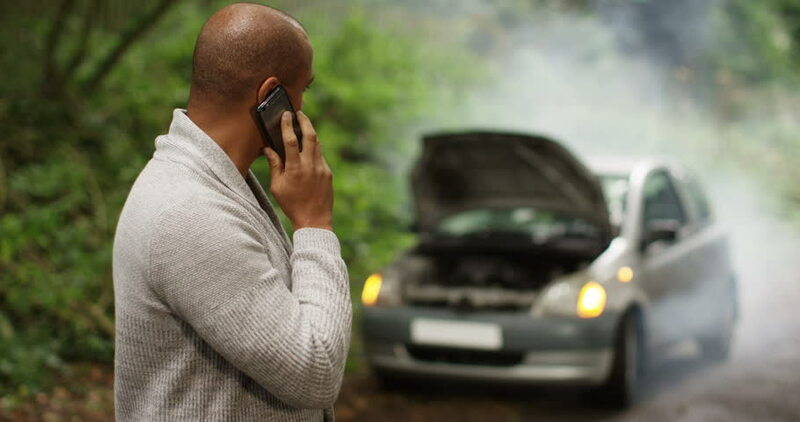 The next day, your mechanic announces that the repairs will cost you eighty thousand shillings. No matter how well you plan your life, unexpected things will happen. Having ready money will smooth out many of life’s bumps. Benjamin Franklin said that there are only three faithful friends: an old wife, an old dog and ready money. Since not everybody can conveniently have an old wife or an old dog, ready money will have to do. If you keep some money where you can easily access it, you will be able to prevent stressful situations. With such an emergency fund you do not need to worry that a two-week delay in your pay may result in your kids being kicked out of school, your water and electricity disconnected and your mortgage falling into arrears. You will simply settle your obligations even as you await the delayed salary. In a worst case scenario, such as job loss, having an emergency fund will enable you continue meeting your obligations such as school fees, mortgage payments and basic living expenses giving you the peace of mind you need so as to concentrate on searching for another source of income. If you don’t have money for emergencies, you may be forced to sell off investments or personal property to take care of the urgent need. This will obviously disrupt your investment plan and make your goals harder to reach. To make things worse, your desperation may make your sell your investments and personal property at throwaway prices. If you do not have investments or marketable property, your pressing need will force you to borrow, often at exorbitant interest rates. I am sure you have seen people driven by desperate need for money hand over televisions, stereos and even cars to shylocks. Often, they are unable to retrieve their property. It is recommended that one should have at least three month’s worth of expenses as an emergency fund. Yes, three times the amount you spend on shelter, school fees, food, transportation and everything else. It is a lot of money but it plays an important role in your financial plan. If you do not have any emergency money now, aim to accumulate your fund over a period of two or three years, this brings down the required monthly contribution to a practical level. Another reason why this money is best accumulated over time is so that one gets used to the idea of having money left in the bank, a foreign concept to many! Any time you use some of your emergency fund, you should replenish it soon after at the same comfortable rate that you accumulated it in the first place. A part of this money should be kept in a separate savings account while the rest in places from which you can retrieve it within a reasonable period of time but where it earns higher than bank interest rate. A money market unit trust could be such a place. People who have money that they can use in an emergency have quiet confidence in the knowledge that should anything unforeseen happen, they are as prepared as they could be and that their investments will continue to be fed in spite of the troubles they may come across. Those without emergency funds tremble and cross their fingers in the vain hope that nothing goes wrong, or stubbornly refuse to acknowledge that there is any danger in the air. Like the ostrich that hides its head in the sand, this state of denial is no protection. If you want less financial stress, less drama and more financial stability in your life, begin to accumulate an emergency fund now. I am 30years old ,I want to own a small land and build a decent family house . I earn about 40k a month which is fully budgeted for . The extra income for land purchase is meant to come from additional sources of income of which I have one which generates about 15000/ . Advice me how I can achieve this without straining my standards of living in a 5year work plan. Hello Dan, I will be releasing a free series of personal financial management video lessons that covers all aspects of you finances. Look out for it in about a month. True reflection of good financial health. I do agree but it is quite a challenge. I have used this methodology and it sure saved when I resigned and changing jobs but since I depleted I wondered how long I can recoup this. It is necessary to know and be wise on spending and saving needs. It is a nice article. Always advising appropriately on financial matters. Well written Sir. Thank you very much. God bless you. Great article. Looking forward to many more. Kudos! A great and insightful article. My concern is on how to quantify emergency, leave out normal routine expenses as defined. For instance four or more months after loosing a job and the extra income generating buzz if off. How do you survive? And what are the tell tell sign to quit a venture that’s drain-when should one stop to fund a venture that seem not to work? I’m keenly following your article and hopefully I will gain greatly.